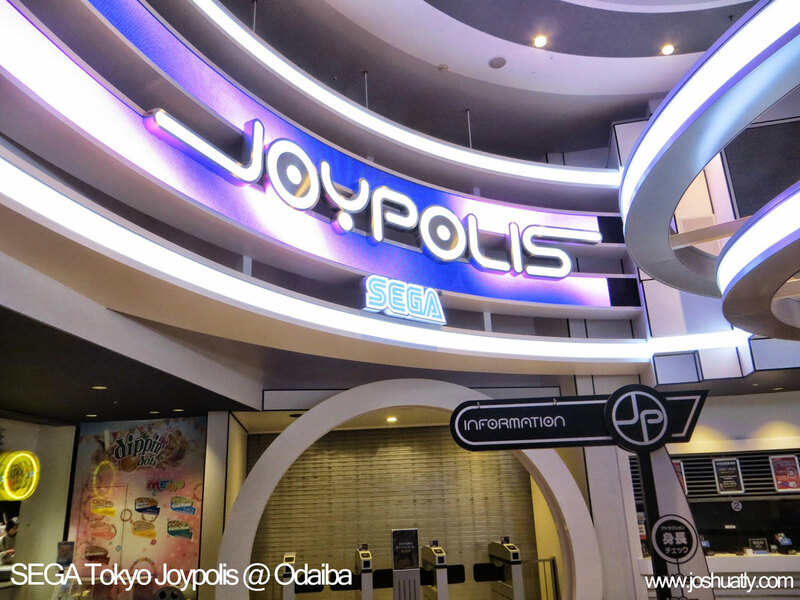 I’ve briefly introduce you to SEGA Tokyo Joypolis, the awesome three floor indoor amusement park at Odaiba, in my last blog post. But I’ve yet to introduce you to my favourite ride, which is Halfpipe Tokyo. 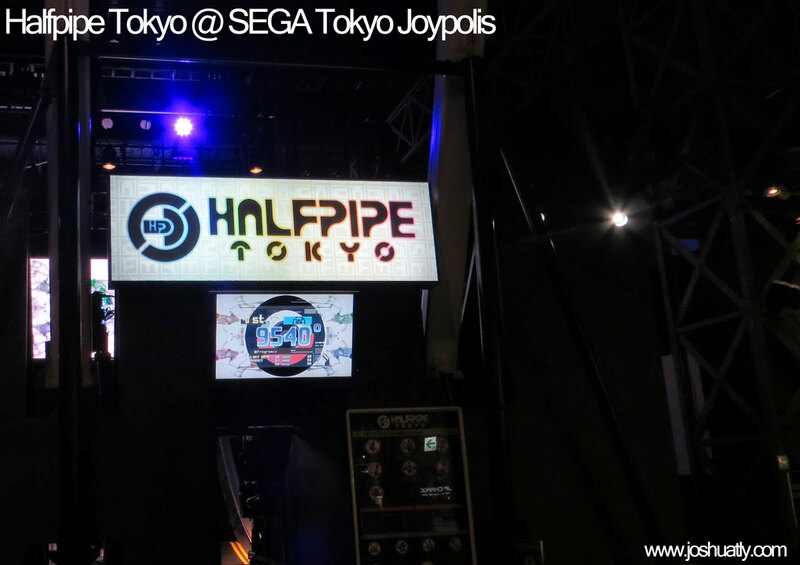 So what is Halfpipe Tokyo? 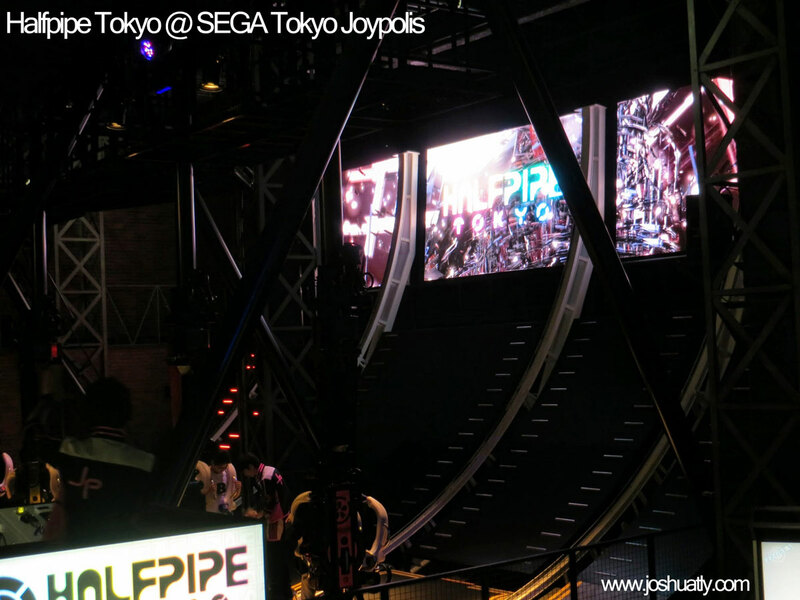 Halfpipe Tokyo is the highlight ride at SEGA Tokyo Joypolis, which is the successor of Halfpipe Canyon, which is now located at Sega Republic, Dubai. Each ride cost you 800 yen, and its totally worth getting a passport for unlimited ride. It is a snowboard halfpipe simulator where you step on your paddle to the swing pattern to get high score. You will need to change your step at the lowest point of the halfpipe swing to get high score. The better you did, the more spins you get. Trust me, you would be thrilled and begging for more! The gameplay mechanic described above sounds simple enough, but it is hard to master. It has a score system which will score your performance against other 3 groups of players. This game have awesome original soundtrack too. The whole setup is just so gorgeous. Shiny lights, giant screens, awesome songs. 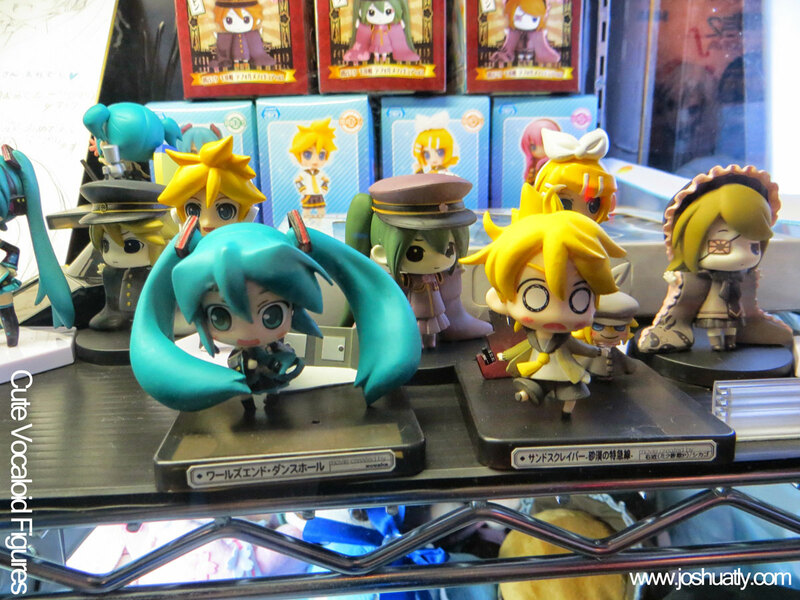 A MUST RIDE if you visit SEGA Tokyo Joypolis. 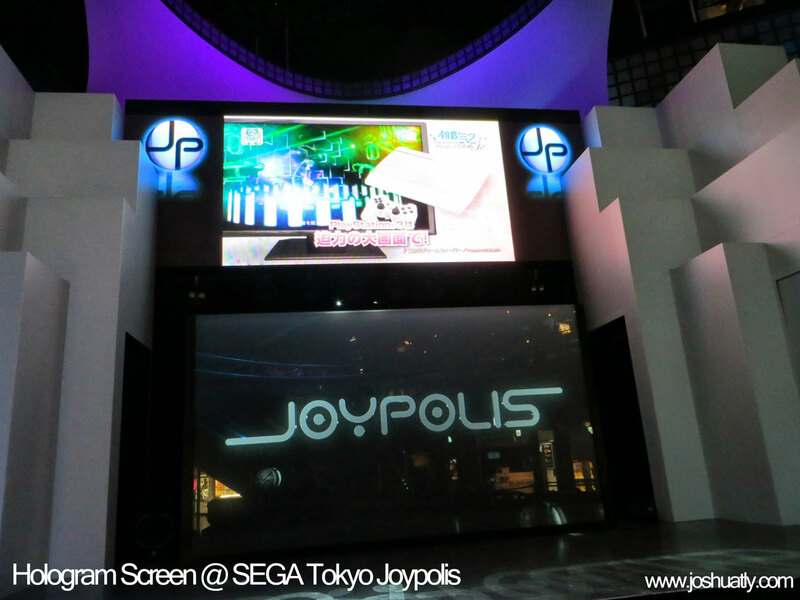 During my one day trip at Odaiba/Daiba, I spent my evening at SEGA Tokyo Joypolis, which is the most fun I’ve had in an amusement park for a good while. Before I go in I was wondering if paying for the Night Passport is a good idea. 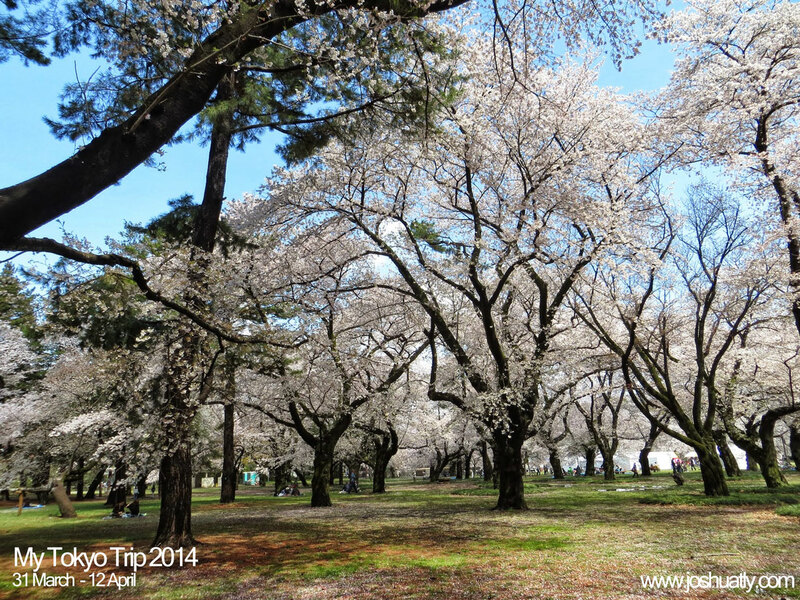 The admission fee itself is ¥800, if you did not get a passport it will cost separately per ride. Each ride range from ¥500 to ¥800. Finally I pay for the Night Passport for ¥2,900. Night/day passport does not include credit for arcade game, only unlimited rides for the attractions. The park was not busy that night, therefore most rides have no wait time. I dont have pictures of all rides, you can get information from their website. But below are my personal highlight. It has been a while since I blog here, and I am back! In the next series of blog posts I will be sharing some experience of my first solo trip, and also my first oversea trip. I will be posting about interesting places, culture, experiences and travel tips, along with some amateur photos I took.